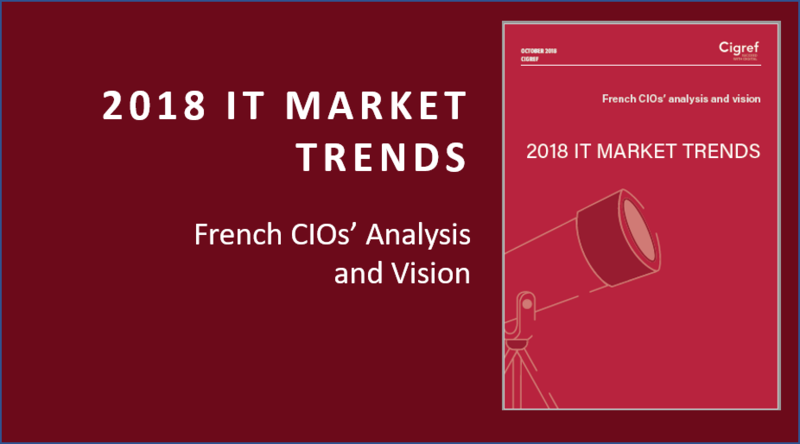 IT Market Trends: Cigref publishes the analysis and vision of the CIOs representing its member companies. The market for digital products and services is a dynamic and complex market with many stakeholders. In an era of digitalization of uses, professions and processes, understanding investment trends and technological developments is vital for organizations and their IT departments. Produced by some of the Cigref Board members, this summary document provides an analysis of the major trends that are strenghening or are emerging, from the point of view of the CIOs of major French companies. It is based on open data sources and existing literature, but also on the results of the studies that Cigref leads with its member companies and administrations, which it regularly publishes in its reports, thus helping to highlight, decipher and feed the reflection of its ecosystem on the challenges of transformations at work in society and companies.